In his role as Health Research Program Director at the United Community Center, Al Castro manages the Latino Geriatric Center and the Health Research Program at the UCC. The Latino Geriatric Center has a Memory Clinic that serves Latinos, and the Health Research Programs conduct academic/community research projects in the Latino community in collaboration with local and state universities. 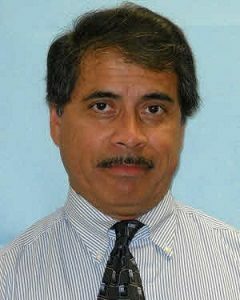 Mr. Castro has 37 years of experience in various social services and community services roles with populations ranging from young children, teenagers, families to elderly individuals, in social worker, management or executive director positions. Mr. Castro has over 17 years experience implementing and managing various human services programs and research projects in the Milwaukee area. He is a member of the Underserved Population Services Coalition, the Milwaukee Aging Consortium and is on the Board of Directors for the Alzheimer’s Association—SE Wisconsin Chapter. Mr. Castro holds a BS degree in Social Work from Carroll University in Waukesha WI, and a MS degree in Business Management from Cardinal Stritch University in Milwaukee, WI. He is a licensed social worker in the State of Wisconsin.